Registration For The 2019-2020 School Year Opens In May! "These classes are a great combination of hands-on activities, collaboration, and critical thinking! My kids looked forward to going to class each week." Minute to Win It games are the springboard for diving into reading the book, Gone Away Lake by Elizabeth Enright. 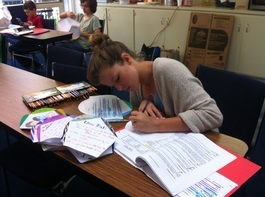 In this unique and exciting class, students read assigned chapters each week and come together in groups to discuss and demonstrate their knowledge of the chapters they have read. 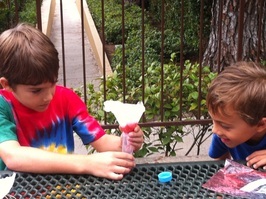 Class activities are formatted similar to “Minute To Win It” party games and have the playful energy of TV game shows. The primary goal of this course is to make reading exciting and fun and inspire life-long readers. Students read assigned pages each week, develop questions to be used during the classroom games, and participate in small and large group discussions. In addition, students learn about various types of questions and reading strategies. Outside Classwork: Students read and develop questions.